® blue” width=”300″ height=”222″ />Vapor recovery equipment is used to remove and recover potentially hazardous or valuable vapors from storage tanks. A closed venting system connects the unfilled headspace at the top of the storage tank to a vapor recovery unit (VRU) that removes the vapors — either to return them to the process or for safe destruction and disposal. 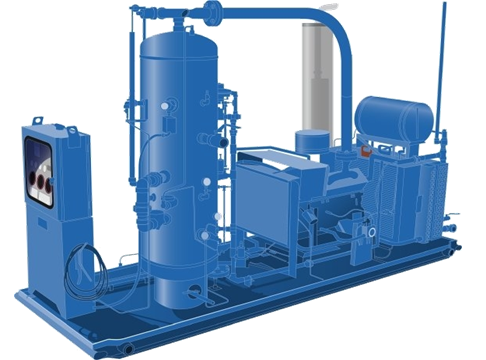 In the oil and gas industry, vapor recovery equipment is used to capture natural gas for processing into a useful, profitable product.